And we’ve already met her! 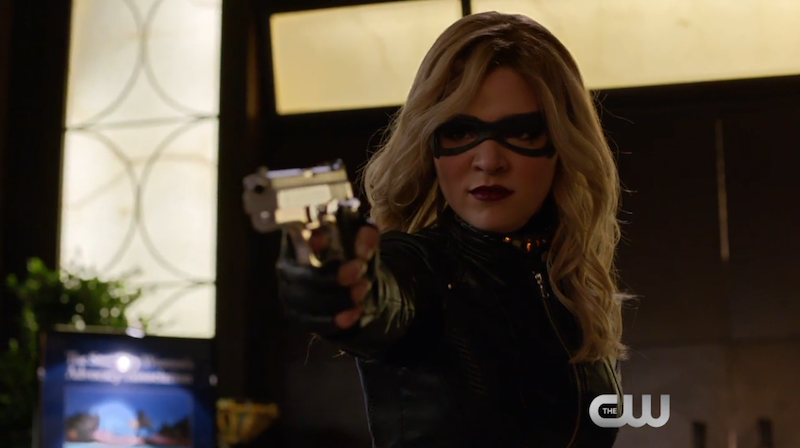 Evelyn Sharp (Madison McLaughlin) appeared in “Canary Cry,” attempting to get justice for her dead parents while also temporarily taking up the Black Canary duds. When we next see her, she’ll be Artemis. Of course, in typical Arrow fashion, this version of Artemis isn’t exactly the same as her comic book counterpart. For one thing, Artemis in the comics is actually named “Artemis Crock,” so it’s not much of a pseudonym. For another, Artemis’ parents are the villains Tigress and Sportsmaster and Artemis shared that bent for a bit. I think we’re all pretty certain that the Evelyn version of Artemis is going to partially follow the Young Justice route, which had Artemis as the post-Roy Harper sidekick to the Green Arrow. According to Variety, McLaughlin will be appearing in multiple episodes, starting with the second episode of season five.